Brandy Sport dog food is a firm favourite for Irish working and sporting dogs from Mackle Petfoods’ value range of pet foods. Brandy Sport is formulated for working and sporting dogs, providing them with the energy they need to be their best self. 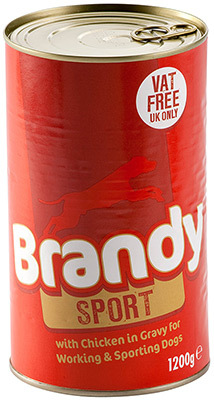 Brandy Sport is available in a 15kg bag with 20% protein. 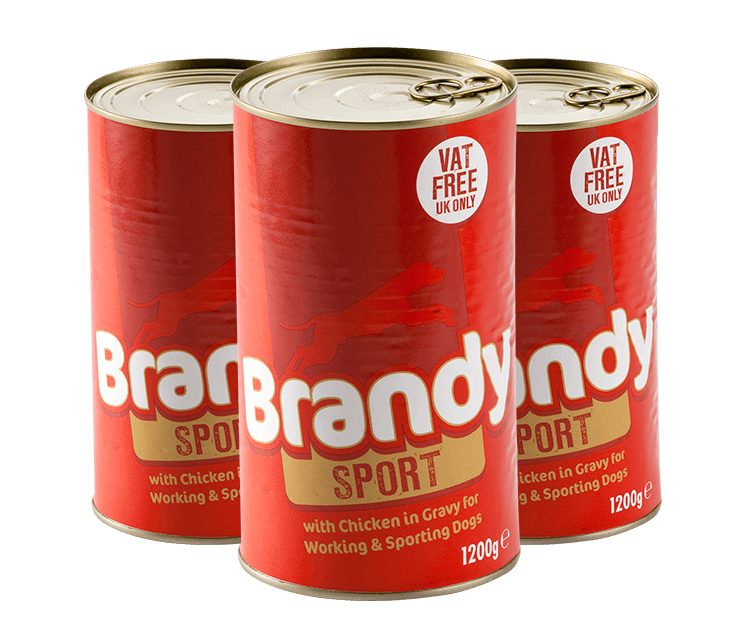 Brandy Sport is also available in a 1200g can with chicken in gravy. Both deliver affordable pet food to a demanding volume market. Available with Chicken in Gravy. With Chicken in Gravy: Meat and animal derivatives (minimum 37%, including minimum 4% chicken), Cereals, Derivatives of Vegetable Origin, Various Sugars, Minerals. Vitamin A 3750 IU/kg, Vitamin D3 380 IU/kg, Vitamin E 5.63 mg/kg, Zinc Sulphate monohydrate 107 mg/kg, Manganese Sulphate 11.71 mg/kg, Sodium Selenite 0.82 mg/kg, Calcium Iodate 0.6 mg/kg. Protein 7%, Fat content 5.0%, Inorganic matter 2.5%, Crude Fibre 1.5%, Moisture 82%.